Ever since my entire family got sick right after Christmas, I’ve been using essential oils every day. I’ve been obssessed with essential oils — how to use them, where they’re from, what they can do, what research says about them. Since receiving a box of samples from Floracopeia, I’ve had many opportunities to try and test essential oils. I’d like to share two essential oil recipes with you in my next few posts. A couple of weeks ago, the 6-year-old munchkin boy had a viral infection. Nothing too awful, just a fever and runny nose. The thing is, this viral infection made him go into another eczema flare-up. Aside from the usual places, he also had itchy patches on his back, stomach, thighs, chest, and neck. I hurriedly brought him to our naturopathic doctor, who recommended echinacea and probiotics to help re-balance his immune system. We also had to go back to his allergen-free diet, even though before this incident, he had been back eating wheat for months. At the same time, I replaced the Aveeno eczema cream for a combination of oils. The Aveeno cream was the topical treatment that had worked the best for my son. But since he had a flareup while using it every day, I figured it was probably time to rotate it with something else (I suspect our bodies get used to stuff we use after a while and that’s why they stop working so well). 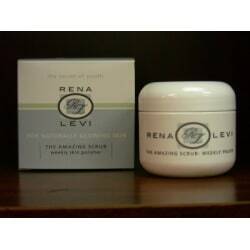 I must be getting a reputation as someone interested in natural acne solutions, because a representative from the Rena Levi company contacted me about reviewing their products. According to the product information I received, the Vanishing Act soap is supposed to be much more than soap. Aside from cleansing, it also tones, exfoliates balances, and renews. This makes it very attractive to people like me who don’t want a five-step skin care ritual. I wash and moisturize — that’s it! I used the soap for about one month and the scrub once during that time (since you’re supposed to use it only once a month), and here are the results I got. Mineral make-up is made from earth pigments and natural minerals. These elements are ground to a fine powder and mixed to form foundation, blush, and powder. Mineral make-up is free from perfumes, artificial dyes, preservatives, oils, wax, or talc. Instead, it contains titanium and zinc oxide, which have natural UV protectant properties. Mineral make-up is non-comedogenic, which means it won’t clog pores. Here are some other benefits of mineral make-up. Proponents of mineral make-up claim it is purer than conventional make-up. The minerals used in this natural make-up are inorganic, which means they will not harbor bacteria the same way organic materials would. This is especially helpful for women who have acne or rosacea. Because of its inorganic nature, mineral make-up lasts a long time. Mineral make-up is reported to feel light on the face, and to provide coverage without looking heavy. For women who use make-up to cover fine lines and wrinkles, mineral make-up is ideal – its light-reflecting qualities obscure wrinkles. Women who have used mineral make-up claim it feels as if you are not wearing make-up at all. The earth tones complement nearly all complexion types. Because the minerals used are anti-inflammatory, mineral make-up can be used by women with sensitive skin. It is oil-free, so women with oily complexions need not worry about using it. Mineral make-up is, in fact, the only make-up that can be used after undergoing a facial chemical peal. If you find conventional make-up irritating, you may be able to tolerate mineral make-up with no problem. When you purchase conventional make-up, you are supporting a chemical industry that is a factor in pollution. Also, when you throw away conventional make-up – either when it is outdated or you are finished with it and residue remains in the container – you are putting those chemicals back into the environment. Mineral make-up comes from the earth to begin with, so returning it there should not cause problems. Also, companies that manufacture mineral make-up tend to be eco-conscious and engage in environmentally friendly manufacturing processes. And most mineral make-up manufacturers do not engage in animal testing. 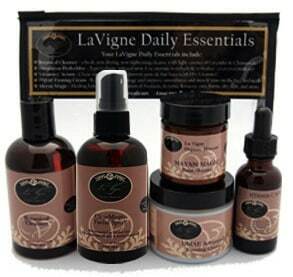 Your local health food store is a good place to start if you want to try mineral make-up. They will usually have “testers” available for you to see how the make-up looks on your skin. However, as more and more people demand more natural make-up options, you may start seeing mineral make-up in conventional stores more often. Parabens are a sort of preservative used in cosmetics in general and shampoo in particular. They are even used in some foods and medicines. Parabens are used to inhibit microbial growth, and they are not a new substance – as far back as the 1920s, parabens were used as preservatives. You can recognize them in ingredient lists on shampoo bottles – known variously as “methylparaben, propylparaben, benzylparaben and butylparaben,” all end in “paraben,” making them fairly easy to recognize. Why are some people concerned about the safety of parabens? Should you be concerned? Here is a list of some of the common concerns with parabens. A 2004 study showed traces of five parabens in cancerous breast tumors. Although the study did not prove the parabens caused the cancer, parabens do have estrogen-like activity in the body, and excess estrogenic activity is highly implicated in breast cancer. The concern regarding this study is that it clearly shows that parabens are capable of remaining intact in human tissue, and are not necessarily excreted from the body quickly and easily, as was once thought. The 2004 study is inconclusive, but that is the point – the study does not prove that parabens are safe, either. It raises important questions about the safety of parabens. When you use shampoo that contains parabens, those parabens go down the drain and into the public water supply each time you wash your hair. If you have a septic system, the parabens will be excreted into the leach field, and thus into the general environment. Ground water, creeks, streams, springs, and other water supplies are therefore contaminated with each rain. Municipal water systems are obligated to sanitize water by killing bacteria and other microorganisms before it is considered drinkable tap water. Parabens, however, are not microorganisms. Like other chemicals dumped into the water supply, parabens can easily go “full circle” in the water supply, going from shower drain to rivers and back to the water treatment facility. Parabens on the skin are one thing, but the effects of actually drinking them is something else to consider. There is no limit on the amount of parabens that manufacturers can use in shampoos; the amount is not regulated. Babies, with their smaller bodies and less-developed systems, are more at risk for all toxins and chemicals than adults. So be sure to read ingredient lists on baby cleansing products. Parabens are a controversial substance. The studies are not definitive regarding the safety of parabens; parabens have not been proven unsafe, but they have not been proven safe, either. Due to this doubt, it is better to be safe than sorry and avoid parabens.